Want to learn how to send a PDF attachment in a form notification email? Being able to send PDFs to site visitors after they’ve subscribed is one of the easiest ways to deliver the lead magnet you promised in exchange for an email address. In this article, we’ll show you how to send a PDF in a form notification email using WPForms. Lead magnets are one of the best ways to build your email list. Used as an incentive to get people to subscribe, lead magnets are pieces of high-quality content you can deliver once they successfully sign up. Good lead magnets are valuable enough for people to want to sign up for your email list and continue to receive marketing materials from you in the future. Email marketing is critical if you want to grow your readership or customer base. It’s the best way to communicate with people that are interested in what you have to offer. Plus, you own your email list and have complete control over it at all times. 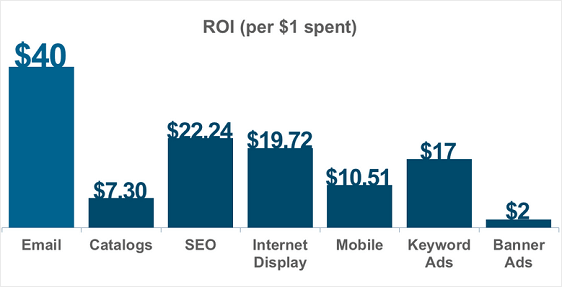 Not to mention, email marketing is known for having the highest ROI when compared to digital marketing strategies like SEO and advertisements. So, let’s see how to can send your lead magnet to new subscribers in the WPForms email notification. The first thing you’ll need to do is create a lead magnet for your subscribe form. If you need some inspiration, you can always check out this roundup of highly effective lead magnet ideas to help you grow your email list. Though not all of them will be PDFs you can offer, there are plenty of options to choose from. 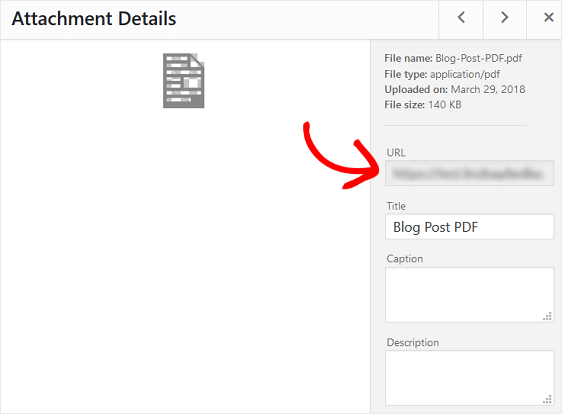 Once you’ve created your PDF lead magnet, upload it to your WordPress website. To do this, go to Media » Add New and upload it to your site like you would an image. If the PDF attachment you’re creating is duplicating any content that is already on your website, you might want to hide it from Google so you don’t get penalized in search rankings for having duplicate content. You also don’t want the lead magnet to rank higher than the original piece of content. To hide your lead magnet from Google, you can use the robots.txt file of your site to make sure Google doens’t index it. 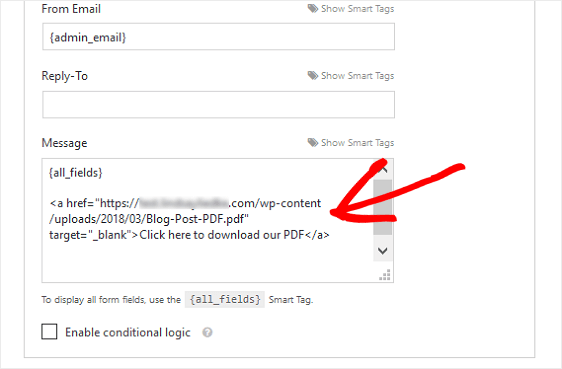 For example, let’s say you’re offering site visitors a PDF version of a blog post and it has a URL that looks like this: http://example.com/2018/12/printable.pdf. To hide it from search engines, here is how you’ll add this URL to your robots.txt file. For more help with this step, read up on how to hide pages from Google. To create a new WordPress form, you’ll need to install and activate the WPForms plugin. For more details, see this step by step guide on how to install a plugin in WordPress. Next, you’ll need to create a signup form. For help with this step, see our tutorial on how to create a MailChimp subscribe form as an example to get started. 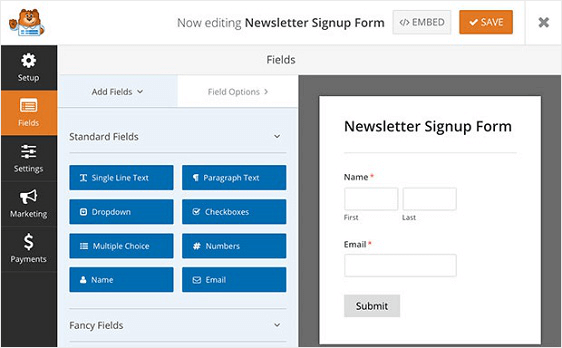 All of these forms, and the hundred more you can create with the WPForms Form Templates addon, can have a signup checkbox added to them to encourage people to subscribe to your email list in exchange for a lead magnet. Just make sure that the form you create includes details about the lead magnet people will receive if they sign up. To add your PDF lead magnet to your form’s notification email, first go to Media » Library and find the PDF attachment you uploaded to your website that will serve as your lead magnet. Then, copy the lead magnet’s URL. Next, go to Settings » Notifications in the form editor. 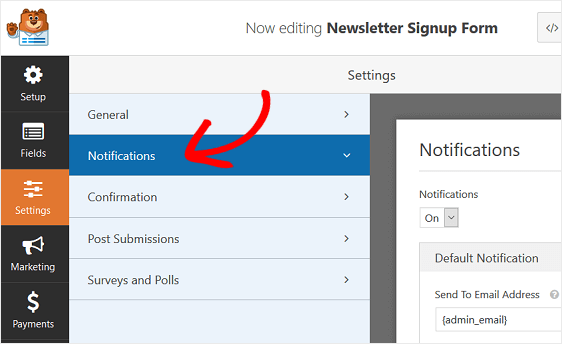 Now, any time someone fills out your signup form and subscribes, they will receive a notification email from you that includes the lead magnet you promised them for subscribing. And there you have it! You now know how to send a PDF attachment in a form notification email to people when they sign up for your email list. If you find that your email notifications aren’t delivering the way they’re supposed to, be sure to read up on how to get WordPress from notifications using the WP Mail SMTP plugin so that you know every site visitor that subscribes to your email list gets their lead magnet. And if you want to learn how to create a lead magnet and send it in a marketing email or add it to your form’s confirmation messages, check out this helpful tutorial on how to create a simple lead magnet optin form in WordPress. Is there a possible way to receive and send notifications (all_fields) in a .pdf format or a Carbon Copy in .pdf ?